Do you need help with facilitating an Appreciative Inquiry event? Whether it’s a one-day event to help your team solve a specific problem, a strategy session with your management team, an Appreciative Inquiry summit, or a ‘whole-system’ change over a period of months, we can help you make it a success. 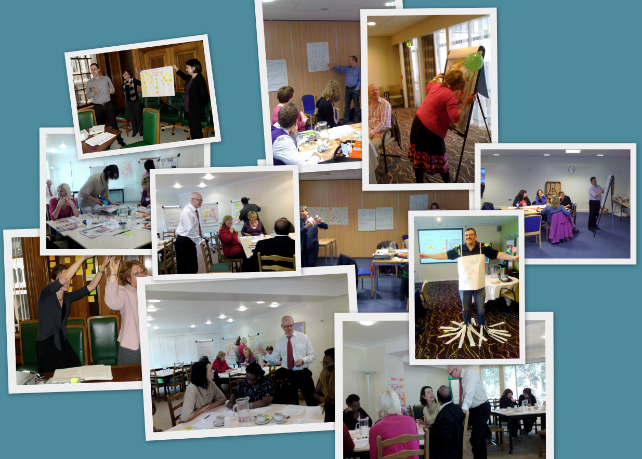 We have a network of experienced Appreciative Inquiry facilitators, plus other specialists such as visual facilitators and film crews to capture all the outputs from your event. Contact Andy Smith at andy@coachingleaders.co.uk today to discuss your needs. To contact me by phone, bear in mind that I am often working on site, sometimes out of phone signal range, so text (SMS) first to +44 (0)7967 591 313 and I can call you back.